Welcome to the very first episode of the Lead Generation Podcast. 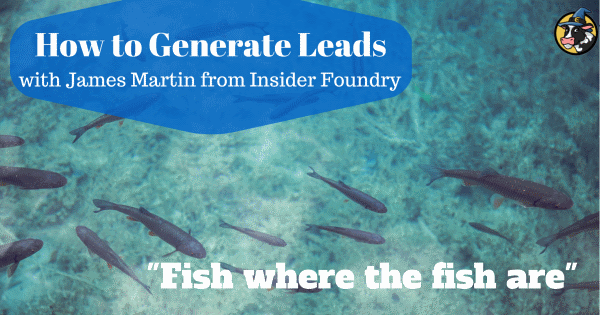 In this episode, we’re going to be talking with James Martin from Insider Foundry about lead generation. Nick: Welcome back to the Lead Generation podcast. My name is Nick Morris and today, I’m here with James Martin from Insider Foundry. This is our first episode so thanks, James, for joining me today. And we’re going to be talking about how to generate leads in this episode. So this is a podcast all about lead generation and about turning those leads into sales. And we’re talking with James again in a few episodes time, more about the sales and other things. Today it’s lead generation. Perhaps before I get started with the questions, James, can you just sort of introduce yourself and your business and what you have to do with sales. James: Yeah, sure. I run a company called Insider Foundry, which makes products for the international student market here in Australia and those overseas that are thinking about coming to Australia as well. So, one of our major products is the international student guides and we started this business about six, seven years ago, giving away a free annual guide book to international students to help them better assimilate and integrate into Australian cities. It’s completely funded through print advertising. So my role has been to sort of grow that pie of print advertising sponsorships and major commercial relationships. Also, yeah, I’m the managing director but also the main, so the salesperson, and, yeah. Nick: Great. well, you’re certainly pretty well-known here in Adelaide in entrepreneurial circles, so, congratulations on your success so far with that. Let’s perhaps get started through basically and so, define what is a lead, when talking about lead generation. How would you define a lead? James: Yeah. Sure. How would I define it. That’s an interesting question because there’s a lot of different, sometimes people refer to leads and someone has no idea about. And so, I refer to a lead as someone who has a pretty good chance of converting. And I basically try and accumulate them in one spot and try and go for them. So I think that’s where a lot of people fail, is that they don’t identify what leads are, where are the right leads for their business. And that’s my, and those are the reasons they fall down. Nick: And so, with the lead, I mean a lot of people might say, it’s just having someone’s contact details but you go a bit further than that. So that they also qualify in some way, is that what you would say? James: Yes, that’s right. Yeah. I would say that it’s not necessarily easy to go on odesk and get 1,000 email addresses of everybody. You know, a lot of people do that and they wonder why they didn’t convert because the leads were not good to begin with, and they probably shouldn’t have tried to convert those leads at all. So yeah, I’ve definitely put a lot of emphasis in talking to the right people from day one. Nick: Cool, cool. If we’re talking about a business that’s just getting started and they are going to want to generate some leads, what are some of the things they should already have in place? James: Sure. I would, first of all, say, goals, like a really clear idea of what income they’re looking to get or what number of, they need to have some metrics. And often, the easiest one is, how much do you want to earn each month or how much do you want to earn by the end of this year? Having that in place is really good because then you can start breaking it into monthly goals of 12 and then get into weekly goals and then daily goals. It just brings, it do certainly just creates a lot more sort of calmness in your business, knowing that, instead of thinking about it, “Ahh, man, I need to raise $1 million by December,” $3,000 a day or something like that, or whatever it is. You know, I can do that, and then you can start breaking it down. Having goals is a very, very important thing. Secondly, is having a very good idea about who the ideal customer is because as I’ve said before, a lot of businesses sell to the wrong people and I look at it like, it’s about four different buying groups, those that have no chance of buying and will never be interested. Those that are sort of apathetic about the whole thing and you know, then there are those that are interested in buying but they’re not ready to buy, they’re just interested. And then those that are interested and they’re ready to buy. So the key is to work out and really understand your customer target. When you have this lead list in front of you, it’s just those ones on the top group that you’re going for, so you can eliminate about 80% of the bad leads and just focus on the 20% that are good. Yeah, it’s certainly being a successful strategy for me for sure. Nick: So, going on with this idea about a new business and getting to start generate leads. So we have a business with quite a low budget and you’re feeling you’re in the market, and have these things in place that you just mentioned but how would you suggest they might get started with trying to find some lead sources and actually start getting those leads up there? James: From my experience, I decided to, a successful strategy was really just fish where the fish are, go and look for these leads where your customers are looking for leads or where you know they’re likely to be hanging out. 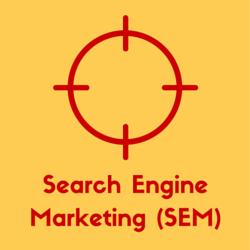 Try to identify some touch points where your customers are looking for similar services, similar websites, similar locations. For example, for me, I was targeting international student market and in the guidebooks I was looking for advertising to reach the international student market. So, I decided to go to all of the O weeks, which are the orientation weeks in all the universities. I went to all of the different hostels, hotels, cheap student accommodation places. I looked online who was advertising online and I wrote about, I had about 150 businesses that had a pretty good chance of reaching the international student market. And now, I work backwards from there, and then I went, “Okay well, maybe this expensive hotel or this expensive tour operator that does exclusive wine tours.” They’re probably not going to be interested in the international student market. But, you know, this student accommodation place, that one would be. And I just looked around, and sorry, I should have said that before but I found different publications inside those places. And different people saw these places, and just saw who was advertising publications, in competitive publications, who is on campus during O weeks. And if a big phone company or big bankers is there, write down the details and try to work out who is the right person to speak to. And it takes a lot of hard work, especially in the early days because it’s just you. But certainly, that’s how we got started. Yeah, fish where the fish are, that’s what I say. Nick: Cool. It sounds like at this stage, you’re mostly the collecting leads and then you align it with your sales. So when you say go away, go to this different places and things, at this stage, are they just doing research or you’re actually trying to approach them? James: No, not at all. And often that’s a big mistake of businesses is, they assume that the first person they meet in the business is the decision maker, and they are now pitching to someone who wasn’t meant to be pitched to at all. So really, it’s about identifying the decision maker. So, at that stage, at the early stage, it’s really important to just go out to market, do your research, find the companies that are interested in advertising or being a part of it. If it’s people, you think about the kind of customer that would be interested in your business, really dig it down. Don’t just say you know, women aged 30 or 40, what kind of taste and preferences do they have? What other things are they looking for that you could tap into? What partnerships could you have here and there? Really dig down. And it will save you a lot of time later if you do it now. Nick: Right. So, when you go and doing this research, looking for the people, fishing where the fish are, as you say, at this point, do you have what you’re selling, if it’s going to be in mind or is it something you should work out once you have leads? James: And if it’s fairly early business, and at this state, it is actually just getting the data, getting your lead list. What you don’t want to do is find the lead, pitch to the lead, and then do it again. You want to batch your tasks together. And it’s important in the lead generation to, sort of, spend time just doing lead generation, so you can start noticing patterns as well. It’s really interesting. That bunch of people are not interested in this part of my product and these people are. And then you get time to, you get your lead list and you can use that experience of collecting those leads to sort of refine your own offering a little bit. And then when you finally go to market, you’ve got a better, refined product or service and then you can start cutting that lead list right down. And you can just match it up a little better. And it’s a much better experience for everyone. Nick: Yeah. So when you’re talking about how the leads you’re collecting is going to fit with your product, at this stage, it’s mostly just your perception of what that might be, rather than actual market data. So, this, I guess this has to do with guessing and you’re going to make sure you describe your customer well and then say, from the best guess I guess whether they will actually like the product. It’s not, you know, you’re not really getting [inaudible 00:11:26] about it at this point. So I guess you would get that later when you start doing your selling and see if they actually are a good fit. James: Yeah, that’s right. That’s when it gets interesting, that stage. I remember I called up a serve-brand. My assumption is they were interested in advertising for international student market. And you know they, some international students are always wearing these soft clothes and everyone, “Oh, it’s an obvious fit” then I talked to the marketing manager and he’s just like, no, definitely not. Of course not, he’s like, lets stick to the magazines, the publications, let’s stick to this online marketing. International students are a tiny segment. We’re not interested. And I was just really interested in that response of that man. I mean, yeah there might be brands and customers that would see value in your publication or your business, but if they’re on the periphery. Nick: Cool. Let’s try and change direction a little bit. So I’m guessing your experiences mostly with B2B stuff. Do you think these sorts of ideas can be plugged to B2C companies as well or that it can be a little bit different? What are your thoughts on that? James: Yeah. I mean, certainly, in any business you start, you need to really, truly understand your customers. I think that’s where a lot of businesses, they’re not just spending enough time, especially as a start-up business, they don’t spend enough time working out who exactly is going to be buying their products or service and then really honing it on that. And they tend to go in sort of, “Well, I can reach all these people, I can go through really big.” So they spread their resources really thinly, go for lot of people and then they just don’t convert that many, and then they still end up exhausted and yeah. They just stretch their resources too thin. And certainly, in both B2B and B3C, it’s very, very important to really understand. First of all, you have to have goals, and then secondly, truly understand who is exactly, who is going to be likely to end up converting, perhaps you end up spreading way too thin. Yeah. Nick: Okay. So, yeah, I’m going to switch and go back to what you said before about really focusing on that first group of both relevant and interest in your product and they’re ready to buy now. With the other three, the ones that aren’t [inaudible 00:14:13], really, perhaps that second group, which is interested but not ready to buy, are they ones that you sort of, do you push them to one side or do you put them in the bin or…? James: No, that’s a good question and I certainly don’t throw them away. I guess what, for example in my experience, there are businesses in Australian seas that would like to reach international students but don’t really want to market to them heavily. That’s an example of that group because my publications specifically targets international students in each city. My effort, and my salespeople, I instruct them to focus on the businesses that would have a really good chance of converting. So, universities, colleges, banks, insurance and things like that, that really do need international students very good lifetime customer value, big return on investment, if you manage to convert one, whereas a pub or a club in the city you know, or a cafe near a University, yes you know and international students are a part of their market, so are all students. And so, it’s not as important for them to reach international students and therefore, it’s not as important for me to try and convince them to advertise in my publication because it’s just easier for me to not bother and focus on those that we really can [inaudible 00:15:38] and really make those presentations better. Saying that, if I’ve got [inaudible 00:15:45] and I’ve got a bit of time of digging in to those ones and really work out on how to, which businesses on those, on those periphery would have a good chance. Look, our book is full of those ones on the peripheries in some cities, for example doctor surgeries, and textbook sellers and things like that. They’re not necessarily targeting international students, they’re targeting all students, and, but they do see a lot of value, enough value in us, in our business to decide to be involved. So, yeah it can happen I would just really sort of, encourage new business owners to not worry too much about stretching too soon. Nick: Cool yeah. That’s a really good answer actually. I was just thinking as you started then answered it, some people might find themselves in a position where, they can’t, they don’t think they can generate enough of the people in that first category. And I feel like they have unused capacity or whatever. I guess, many of that goes back to, before generating first time in your business, making sure you’re in a market that’s big enough. Would you say that comes into it? James: I guess yeah. I mean, I would rather, you can either be a big fish in a small pond or a small fish in a big pond. I think that’s a real risk with mentality of being a big fish in a small pond. Because, you know, it just comes to the point where you just can’t do it anymore, like you saturated your market to the point where it’s just, you know and you don’t have anywhere to go. So, when you first starting a business it’s really important to stack the odds in your favor and really go for a big, massive market and really understand that going in, it’s going to take a lot of work to get there. But I’ve got a lot of runway here and a good chance of success. So, yeah, I’d certainly encourage businesses to go into the big lake and ride in the small pond and work backwards from there. Nick: Yeah, it’s a really good point. We’re not going to spend too much more time on that point but I think it’s really important to make because a lot of times we hear advice about picking a niche or a specific niche in a good way, particularly in things like content marketing and stuff like that, where there’s just so much content out there. I often hear advice about a very specific niche, which I think is good advice in some aspects but, yours could be where this point that you’re making that you don’t want to get to the point where you sort of just run out of market. You want really strong leads and reach into, I guess into people that aren’t as relevant. So that’s probably something to think about. You know before this lead you’re actually really spot, you’re really first selling your business and picking your market. If people are doing lead generation for a while, and maybe they’ve been through the sales process as well and they’re finding they’re not, the lead generation process isn’t really working or the sales process isn’t really working, have you got some ideas about where they might try and go back and analyze and try to find out where the problem is? What kind of process could they go through to search for help? James: Well yeah, in any business you really want to focus on what works and that’s not always easy. So you have to work out how to identify what’s working and what’s not working. So, that’s where the introduction of a CRM, Customer Relationship Management tool is quite helpful, when you’re running, when you’re collecting leads, and you’re processing them. It’s very important to measure every step of the lead generation and sales process and knowing what is working, what isn’t working, for example, when a CRM when you’ve got your pipeline… If you’re converting people from initial call to appointment or appointment to consultation or something like that, then eventually, pros negotiation. You can look out those different stages. The key point is, you’ll never know that unless you stop measuring and a lot of business is done. They keep all the information, a lot of small businesses don’t do this very well, they keep all the information ahead, they talk to the team and they convince themselves they don’t really need to write anything down. And they’ll just manage it and they’ll hustle. There’s nothing more annoying than that word in my mind, the word hustle. I hear it everywhere around the start-up community and it really grinds my gears, as if that’s the key to success. I mean, yeah, it is a little bit but it’s much more about being very, very smart and selective and taking a very concise approach to your lead generation, your sales and knowing what’s working, knowing what isn’t working. Break your process down, understand your market, understand your sales process and then amplify and double down on what’s working. So that’s key. Nick: Yeah. I think that’s usually the point. I guess, it’s perhaps the difference between like being efficient and being effective, making sure you’re doing the right things, no pushing and hustling if you like, things that may not be effective. What you said there about introducing your CRM, I’ll stick it into my next question about, what are some things that you can look at when you have a bit more money in the bank? Business is moving on nicely now. CRM, can you perhaps just explain what that is for a little bit further for those who might not know. James: Yes, a CRM is yes a, Customer Relationship Management tool. It’s essentially a way of managing your leads, your accounts, your opportunities, your contacts. Basically, all the information you need to turn a lead into a sale, you have it all organized. It’s fantastic, actually. In my experience, you put the company’s name, you put the phone numbers, key contact information and emails, everything like that. But then you also put opportunities associated with that company or that person and you can have multiple opportunities for each one. And then you can actually measure how far down the pipeline this opportunity is going. So you can measure from, it’s up to you to customize that pipeline. So the pipeline meaning, the stages that are required for you to turn that lead into a sale. In my case, it’s introduction, fun, cool stage one, and stage two is send the media kit. Stage three, is face to face conversation or phone conversation. And then stage four is pros-negotiation. And I have like a probability sales associated with each of those stages. If I’m pros-negotiating, it’s a 90% chance that I’m going to close this deal but if I’ve just sent media kit and I’ve had a chat with them, I’m probably like more 60%. So it’s very key to be, when you do it in the CRM, don’t just take it off the shelf, and just think that’s what’s going to work. It’s actually customizing it to actually make it work for your business. And that takes a little bit of teething problems, it takes a little bit of time and effort, and if online, you do tutorials and things like that. I can promise you, if you get it right, it will save you thousands of pounds. Nick: Right. Often I see things like email marketing programs that describe your CRM systems. Is this the sort of things that you’re talking about or you’re talking about more of a sophisticated Sales Force like system? We use Aweber for email marketing for instance but I don’t think they do lead scoring and the other stuff you’re talking about. James: Yeah. I mean, I exist primarily in offline world. So, I use the industry standard, which is salesforce.com and these other ones, there’s infusion soft has an active campaign, it’s a whole lot of different ones. I think the one you’re talking about is Awebber, that’s more email-oriented and it’s sort of a lot of email automation and conversion and things like that. Mine is more about, yeah, I guess you’ve got this person’s details and then you can really measure and you can actually add in all these different programs and software attached to it. So you can do quoting and things like that attached to it. Yeah. Mine’s all about being able to measure how and score the leads and the opportunities and then actually reporting on that. And that’s something that Salesforce is pretty good at, is the reporting. 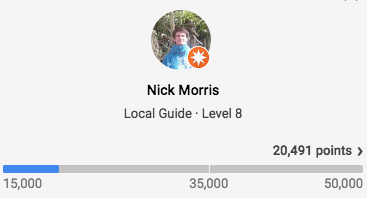 So, you can really get a good understanding of, over the past month, I’ve made this many sales and I’ve progressed this many people from this stage to this stage but I’m really lying on this stage and I really should focus my energy in there. And yeah, it helps a lot. Nick: Do you think businesses should get started with CRM as soon as possible or is this I can do perhaps with a spreadsheet to begin with or is it really helpful to have the system in place, like a system that I can use? James: Yeah. I mean, I started with Google Docs and it’s fine for a while but as soon as you start noticing the squeeze and you know, the problem with the spreadsheet and things like that is, as soon as you have an interaction with a customer then, they, you want to be able to record where they’re at in their thinking so you can, will use that to your advantage later. But that’s really hard in a document. And not only that, when you need to bring it up, you’ve got to open this whole new document and scan through all of your other leads to get to this one document and sometimes you’ve got like 150-200 leads with different color coding, you know this person’s a hot lead, it’s red, this person’s a green. You have to go through all of them to get to this one and it’s quite a lot of anxiety, you should have noticed it’s not controlled. Hang up the phone, input into your tasks, call Mary next Tuesday. And then next Tuesday, (boop) comes up, saying Mary needs to be called now, call Mary. Google Spreadsheet doesn’t do that, it’s really hard to do that and I find that hard. So yeah, that’s one of the benefits of CRMs. Nick: Cool, cool. So I guess, we’ll probably just cover the rest about the different CRMs systems throughout [inaudible 00:26:46], stuff like that. Do you have any sort of suggestions about ones who I’m better to get started with? James: I mean, I use Sales Force and I like it I really like it, and it’s expensive, all CRM’s are pretty expensive but they, it’s expensive because it’s very effective. And I don’t think you really know how effective it can be until you start noticing how your own mood changes when you’re doing your sales and you know, after your 30th phone call, everything’s organized, all the interactions are recorded, all the calls are logged, all your emails are logged, and everything is done and then you start noticing how amazing it really is. At the start, you mean I really don’t need this, I’ve got a spreadsheet, but it is very good. And our business went from, our business grew by about 200% in one year through the use of a CRM because I just knew every day what I had to do. Yeah, it was excellent. Nick: Great. That’s sounds good, good to hear that. That’s quite, it’s such an important step, which I wasn’t necessarily aware of. Just bring us, I guess towards the end of the episode now. 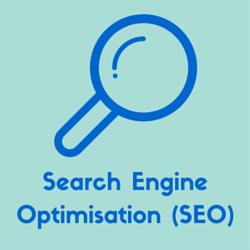 So what do you think about some of these services where you can outsource for lead generation, in particular up to appointment settings services, where they actually go I think and call a bunch of people and try to set up appointments for you. There’s also some sites where you, they’ll actually, it’s an online site where you can, as a business, you can sign up with them and then they also collect leads from customers that are looking for your service and give you an opportunity. James: So, I guess the end story is what works, stick with what works and if those “compare sites” are delivering you leads and you’re actually getting return on that and again, you should be measuring as the lead comes in, how it’s transferring through your pipeline and if it’s actually converting, then you should know if that’s working or not. And if it is, double down, do whatever it takes to get more from that one area and get rid of everything that doesn’t work. The appointment setting services I haven’t used them, I don’t know, but I have looked, I wouldn’t like to do that, because it’s made of quite a niche market and I think in a niche market if you outsource the sales too much, you become a very, your reputation takes a hit, because all of a sudden you’ve got thousands of people calling that have never seen your product and the people on the other end, they want to know, they not just want to make an appointment, they want to know why. They want to know about your product and it’s quite hard to give a lot of information to these appointment setting services and external sales services. I’ve certainly been approached by call centers wanting to sell advertising over the phone on our behalf and Ive rejected it. I’ve gone into the method of hiring sales people instead, so I can work with them, train them, and I think it’s stacking the odds in my favor a bit as well. Nick: Great. Yeah that’s a good, a really good answer there. Well, I think that sort of brings us to the end of the Lead Generation episode. Thanks very much for joining us James. It’s been fantastic having your insight on this. I knew you’d be a good person to be on for our first episode here. So, were going to bring James back on again in a few episodes time to talk about sales but for now, well say goodbye.